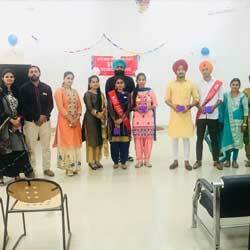 STC organised the Freshers party on 11 oct 2018. They welcome the batch of new faces into their departments with fun, hope, positiveness and passion as a part of their family for next three years. The students presented different performances (Songs, Group Dance, Modelling, Solo Dance, Comedy) and so on. On 23rd April, 2018 the students of Swift Technical Campus gave a fond send off to the seniors of their department. The farewell party named as (HASTA LA VISTA) was celebrated with lot of fervor in college auditorium. The program got started with welcoming of our Chief Guests Dr. G. Munjal - the president SGOC, Dr. Maninder - Asst. Director SGOC. Thereafter, there was a spate of dance, music, games and laughter as the hosts impressed with the showcasing of their vast repository of skills. Outgoing students did Modeling. The afternoon saw the crowning of Miss. 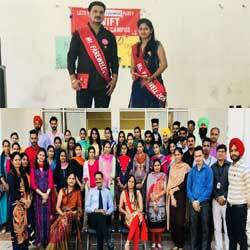 Farewell - Bhavna(B.Com) and Mr. Farewell - Amritpal Singh(BA). The function was full of enthusiasm. 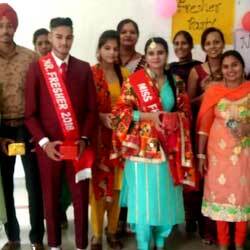 The president Dr. G. Munjal wished all the best to the outgoing students for success and accomplishments in all their future endeavours. The fresher party, was organized at Swift Technical Campus on 13 oct 2017 for newly admitted students. All the faculty and Staff members were present during the function. Teachers and Students actively participated and enjoyed. Various performances were performed by the seniors to welcome the new students.